﻿ COPROCA, the factory of the future. COPROCA S.A, the camelid product company, is the first and only alpaca wool company in the hands of Bolivia’s rural population. 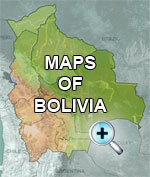 This company sprouted from the association of 1400 llama and alpaca producers from the Bolivian Altiplano. Their principal objective is to promote sustainable development of camelid breeding by spinning and marketing their wool and derivative products, which we relate below. Bolivia has a very well-developed gross production of wool with 400,000 head of alpaca, but there was no national infrastructure capable of converting this raw material into an end product ready to be used in textile manufacture until 1991. Before that time, wool was worked by hand, which obliged artisans to sell it at a price less than the cost of production, or it was sold at a low price to Peruvian factories. Breeding of camelids for meat and fiber is the main economic activity of 1.5 million Altiplano peasants, i.e. 15% of the population. It has been the primary economic activity since ancestral times and, to date, 100% of this activity is in the hands of Aymara and Quechua associations and enterprises. Adding value to the alpaca wool and its market therefore signifies an improvement in the living conditions of Altiplano peasants. In 1991, Bolivian alpaca and llama breeders were members of an association called the Asociación Integral de Ganaderos de Camélidos de los altos Andes (AIGACAA), or the Integrated Association of Camelid Breeders of the High Andes, decided to found COPROCA S.A. in order to be able to negotiate and sell their own wool. Therefore, it is a “ground-up” enterprise created to share the producers’ initiative. There are currently 45 individuals working in the factory, and the yarn, which is high quality thanks to the industrialized process, is sold locally as well as in the international market through organizations like Caserita.com. 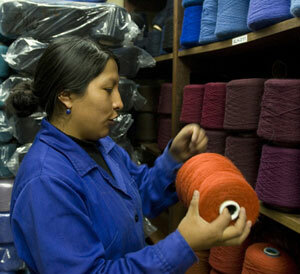 COPROCA serves 30% of the Bolivian alpaca wool market and unites 50% of the alpaca producers in the country. It provides 70% of the La Paz, Cochabamba, Oruro, Potosí and Sucre artisans, and more than 90% of the garments made with this wool are exported to Europe, the US and Asia.